Mike Huckabee was the 44th Governor of Arkansas from 1996 until 2007, becoming one of the longest serving Governor in his state’s history, and was only the fourth Republican elected to any statewide office since Reconstruction, serving longer than the other three combined. He left a legacy of tax cuts, job creation, the reconstruction of his state’s road system, K-16 education reform, and a nationally heralded and duplicated health initiative that focused on the less expensive approach of prevention than the costly big-government approach of intervention. His administration fought long-standing corruption in the state’s political machine, resulting in numerous indictments and convictions of powerful legislators and other elected officials. 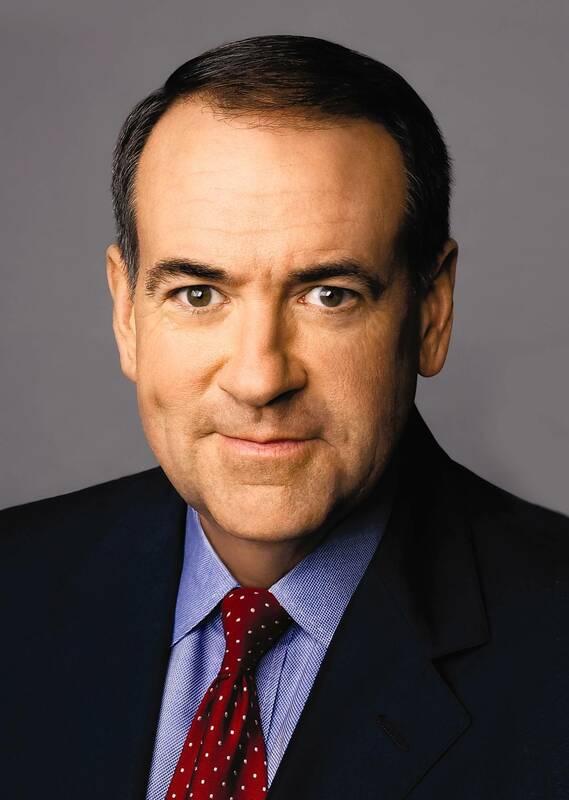 Huckabee, 59, an avid musician since age 11, is a bass player. His hobbies include hunting, fishing, and music. He was named one of the “25 Most Influential People” for Conservation by Outdoor Life Magazine, and was named “Man of the Year” by the American Sportfishing Association in 1997. The former governor and his wife, Janet, have three grown children – John Mark Huckabee, David Huckabee and his wife, Lauren, and Sarah Sanders and her husband, Bryan – and four grandchildren – Chandler Huckabee, Scarlett Sanders, Caroline Huckabee, and William Huckabee “Huck” Sanders.